Foundation Derbyshire is a non-profit organisation that provides independent funding for voluntary community action throughout Derbyshire. Grants are distributed to voluntary groups which aim to tackle disadvantage and enhance community life in Derbyshire. There are a number of different grant schemes available through the Foundation. The East Midlands Airport Community Fund was established in April 2002 and since then over £500,000 has been pledged to a whole range of initiatives which aim to bring lasting benefit to the communities around the airport. The Community Fund Management Committee meets six times a year and is open to community groups within a defined area of benefit which includes parts of South Derbyshire, southern areas of Derby and Erewash (check the website for the area covered). Generally the maximum funding awarded is £2,000. The Landfill Communities Fund will be of interest to not-for-profit clubs and organisations who want to develop amenities which are open to the public. To meet the need for landfill tax contributions to go through an environmental body, Derbyshire County Council established the Derbyshire Environmental Trust (DET). The DET has secured almost £11m from landfill operators for around 630 projects. If your project is in the vicinity of a Lafarge Aggregates operational site you may be eligible to apply for a grant. Lafarge Aggregates have sites at Whitwell, Dowlow (near Buxton), Chaddesden (in Derby), Barrow on Trent/Swarkestone, Nether Langwith and Renishaw. There are also sites at Alrewas (Staffs border) and Hemmington (Leics border). Normally projects must be within a seven-mile radius of the sites. The project site must also be within a 10 mile radius of a licenced landfill site. Successful applications may be funded at any amount up to the requested figure, depending on available funds and/or other priorities. The Derbyshire Environmental Trust is able to apply to Biffaward for funding towards projects adopted by the Trust. To be eligible projects must be within 10 miles of a Biffaward operation and 10 miles of a licenced landfill site. There is a useful postcode checker on the Biffaward website which identifies if a project is within the correct radius. Potentially funding of up to £50K is available for community projects that meet the fund's criteria. "Where it is for the protection of the environment, the provision, maintenance or improvement of a public park or amenity in the vicinity of a landfill site." Upon enquiry the Trust is also able to advise about the other sources of possible funding under the Landfill Communities Fund, to whom organisations can apply direct including the Veolia Trust, Viridor Credits and the Sita Trust. To find out more about the DET, whether your project may be eligible for funding, or to request an application pack, contact the Trust via det@derbyshire.gov.uk or on 01629 539182 / 538614. The Playing Fields Legacy Fund is a small charity established to get more people, especially the young and disadvantaged, playing sport through more effective use of playing fields. They offer grants of up to £10,000 to stimulate new investment in playing fields, including funding for drainage, levelling, returfing, ATPs, MUGAs and pavilions. N.B. As at November 2017, the fund is on hold while the charity considers its future direction. Funding Available: Up to £1,000. 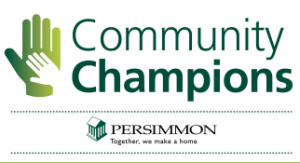 Persimmon has launched its Community Champions Scheme to fund good causes across the UK. In the next 12 months they plan to give away up to £750,000 to fund local community initiatives. The online application form is very straightforward, but there is a need to illustrate why your group or charity deserves a donation and you must state how much you've raised already. Reaching Communities funding is for projects that help people and communities most in need. Grants are available from £10,000, upwards and funding can last for up to five years. There is no upper limit; however you will need to call them before you apply for a grant which is more than £500,000. The programme will support salaries, running costs, a contribution towards core costs and equipment. They can also fund up to £100,000 for land, buildings or refurbishment capital costs. If you need more than £100,000 for a land and/or buildings project, please see the Reaching Communities buildings programme, where large capital grants are available in specific areas. Central England Co-operative is committed to serving its local communities and welcomes applications for community projects. Only members (who have been a member of for at least 6 months), or employees can apply. Also, beneficiaries must be in communities in which the Central England Co-op trades. Successful awards are made to a range of community organisations. Funding available: between £1,000 and £5,000, with one £50,000 award. Jewson Building Supplies has launched a vote-based competition aimed at transforming spaces and places in need of a little love and attention. The awards are meant to be used to support building projects of all shapes and sizes, no matter how innovative or ambitious. The competition is open to any local group in the UK that has a 'big idea' that will benefit its community. Nominations for innovative and ambitious projects which make use of sustainable products and practices are particularly welcome. Jewson will produce a shortlist of nominated projects, then communities will be asked to vote on which to support. After that, a panel will pick the winners. The Co-op Local Community Fund the Co-op's way of giving back to their communities - providing funding to local causes that members care about. Click here for more information. Every time a Co-op member buys selected Co-op branded products and services, 1% of their spend goes to a local cause. Also money from sales of the Co-op's reusable carrier bags, and the 5p legal charge on carrier bags will also be used to kick start the funding for each cause. Applications are open to charities which have been registered for at least 6 months. Your project needs to be in keeping with the Co-op's values. They'll also give priority to local charities with an income of less than £500,000 a year. The fund won't support salaries or other running costs. Click here for more information. The Main Grants programme is open to charities and not-for-profit organisations applying for grants over £10,000 per year for up to three years. There is no upper limit; however they make very few grants over £120K. The Small Grants programme is open to charities and not-for-profit organisations applying for any amount up to and including £10,000 for one year only. 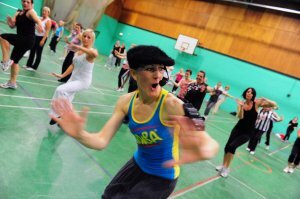 From football, rugby, cricket and tennis, to boxing, bowling, curling and rowing, the Heritage Lottery Fund (HLF) has supported projects related to almost every popular sport in the UK. Heritage Lottery Funding has conserved historic sporting sites and facilities, including Brockwell Lido in London and Victoria Baths in Manchester. However, the focus of most projects is the stories and memories behind the people, places, and events that make up our sporting heritage. Many projects have researched the history of local clubs, recording the memories of communities, players and fans. Others have explored the lives of sporting heroes, local links to the Olympic Games, and the diversity within sport, from Deaf tennis to Jewish boxing heritage. We've already had some local success in the county with e.g. the Cricket Derbyshire Foundation's 'Proud to be Derbyshire' pictorial history celebrating the heritage of Derbyshire CCC. Also, Matlock Baileans Hockey Club's 'Jolly Hockey Sticks' project which celebrates their 70 year hockey heritage. 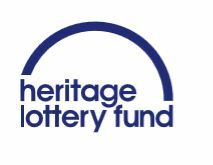 Currently the HLF are seeking more projects from Erewash and Derby. Deadlines: Applications are now closed for 2017. Please visit their website in the coming months for details on 2018 programmes where new guidance will be available. A range of not-for-profit organisations and local constituted clubs can apply to the People's Postcode Trust Small Grants scheme. Grants of between £500 and £20,000 are available for projects in England lasting up to 12 months. However, applicants that are not formally registered as a charity with the Charity Commission can only apply for up to £2,000. Applications are invited for projects that focus on a number of themes including Healthy Living Initiatives.